With a late attack, Uran finishes solo in front of Superga, preceding Yates and Aru. 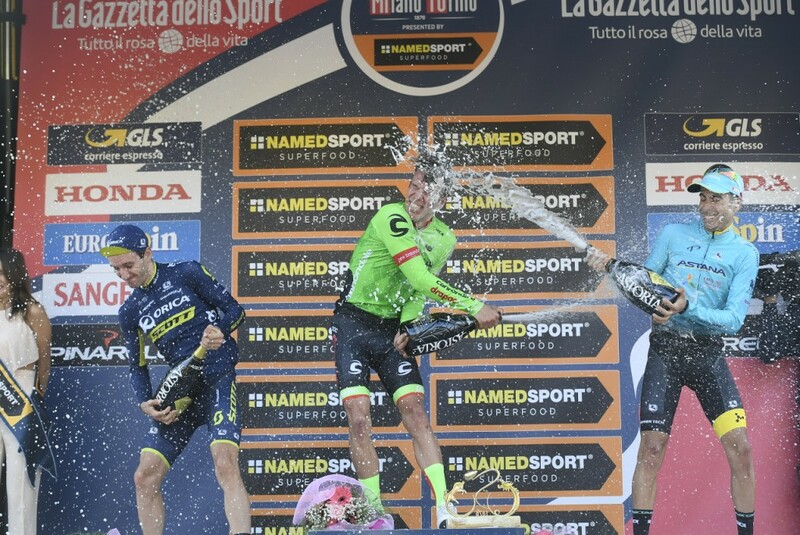 One year after Columbian Miguel Ángel López won Milano-Torino, the world’s oldest one-day classic, another Columbian, the Tour de France runner-up Rigoberto Urán, rode away on a big gear with 3km to go to take the win, resisting the efforts of Briton Adam Yates and Italian champion Fabio Aru who rounded out the podium. Data collected by Velon’s devices on the riders’ bikes tells the detailed story of Milano-Torino: Data and an explanation guide can be downloaded here. Milano-Torino was the last race of the 2017 Ciclismo Cup. The winners by team are Gianni Savio’s outfit who has been awarded on stage in Superga.